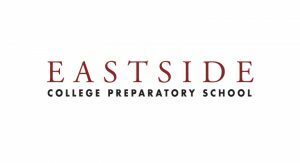 Eastside College Preparatory School (Eastside) serves low-income students in the Ravenswood School District of East Palo Alto and eastern Menlo Park who would be the first in their families to go to college. This grant supports Eastside’s journalism program and provides general support. Eastside offers students a tuition-free, 8 a.m. to 5 p.m. school day with built-in tutorial periods, a three-year college readiness program, a residential program, an alumni support program, and a career pathways program. To date, 100 percent of Eastside’s graduates have been accepted to four-year colleges and universities, while 80 percent of them have graduated from a four-year college or university, or are on track to graduate within six years. The journalism program teaches students about the basics of journalistic theory and techniques. After learning the basics, students begin the process of reporting and writing articles, publishing six issues of their own newspaper each year. Through this program, students learn to refine their writing and editing skills, improve their teamwork skills, and have opportunities for leadership.